Andrew Lane is director of basic materials equity research for Morningstar. 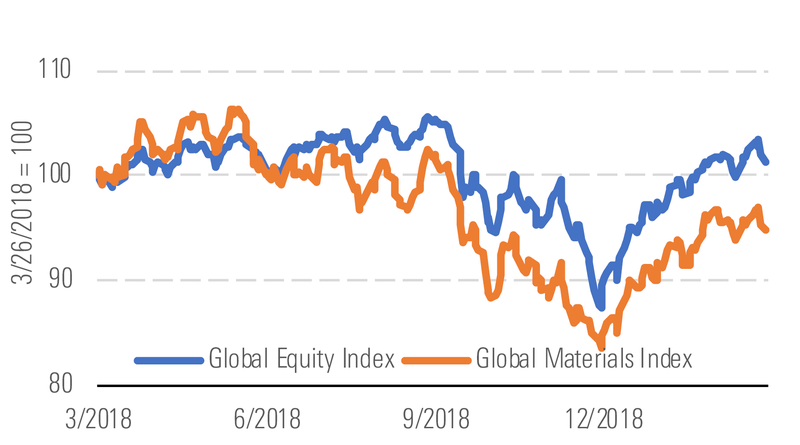 The Morningstar Global Materials Index has underperformed the broader market over the trailing one-year period, in part because of growing concerns about global growth amid rising trade tensions. Andrew Lane has a position in the following securities mentioned above: CCJ. Find out about Morningstar's editorial policies.